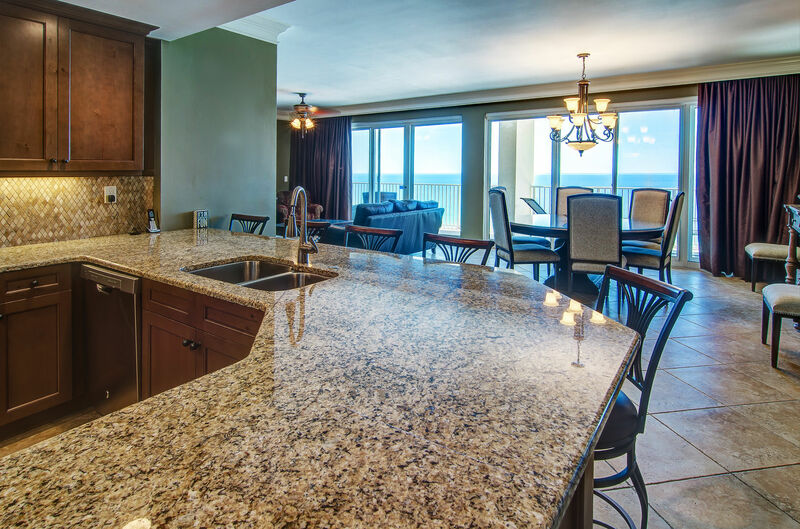 Stunning Gulf views across most of the condo in the direct Gulf front 5 bedroom, 4 bath condo in a beautiful resort. 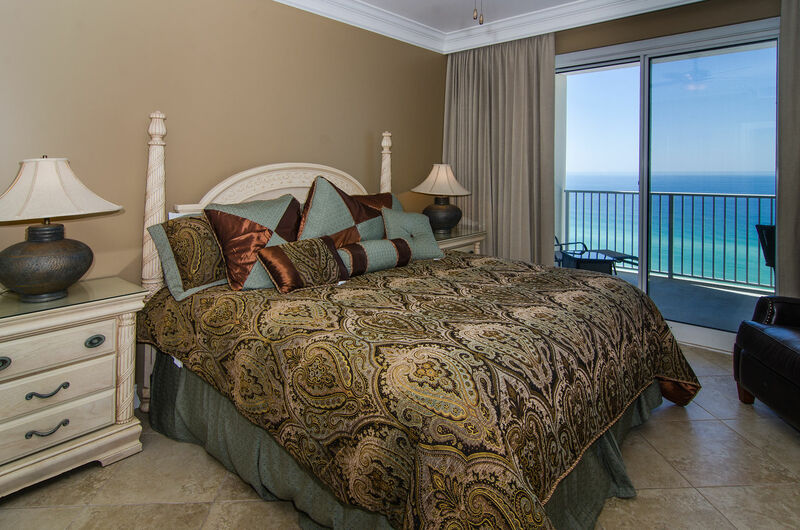 Enjoy the luxury of two master bedrooms that are Gulf front, fully stocked large kitchen and stainless appliances. 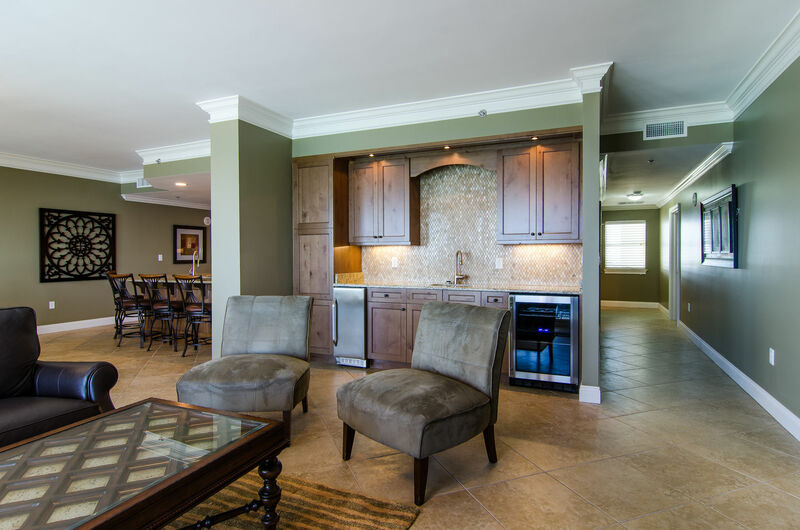 Welcome to Tides #1203 – our beautiful “brand new” 5 bedroom, 4 bath condo with stunning views directly looking over the Gulf of Mexico! 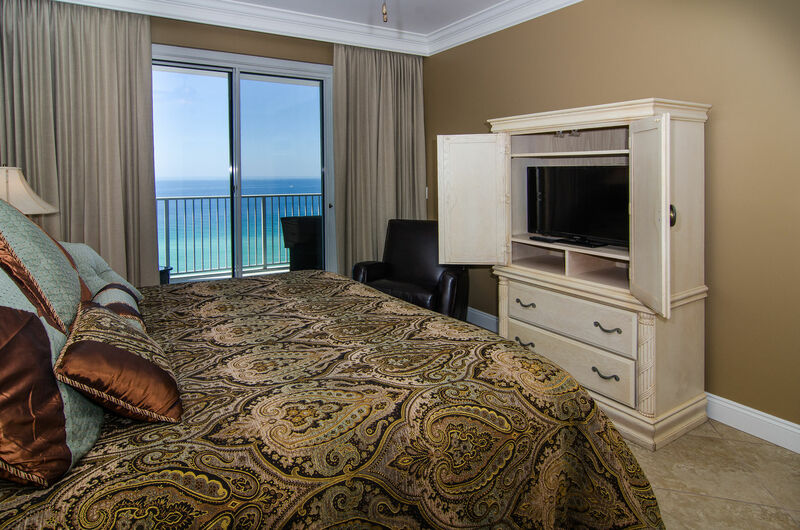 From the moment you walk in, you will be dazzled by the gorgeous views of the Gulf from the entire living area and two master suites! 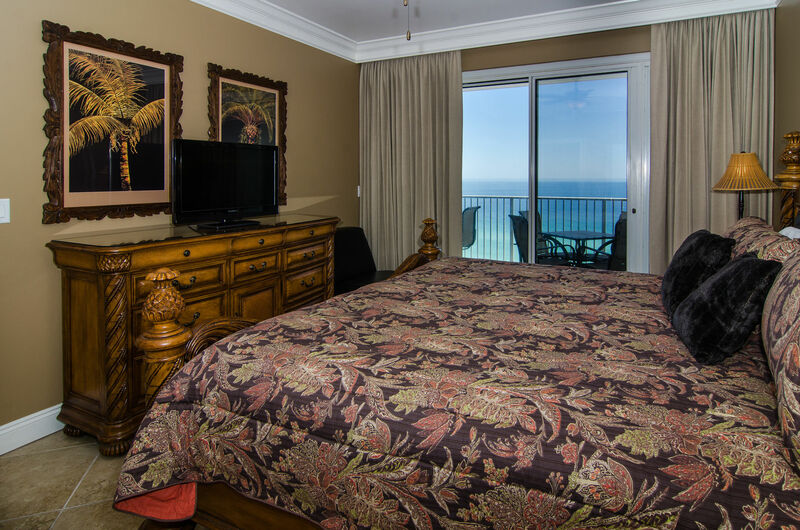 We’ve completely renovated this direct Gulf front condo to create a first class atmosphere for your vacation enjoyment. 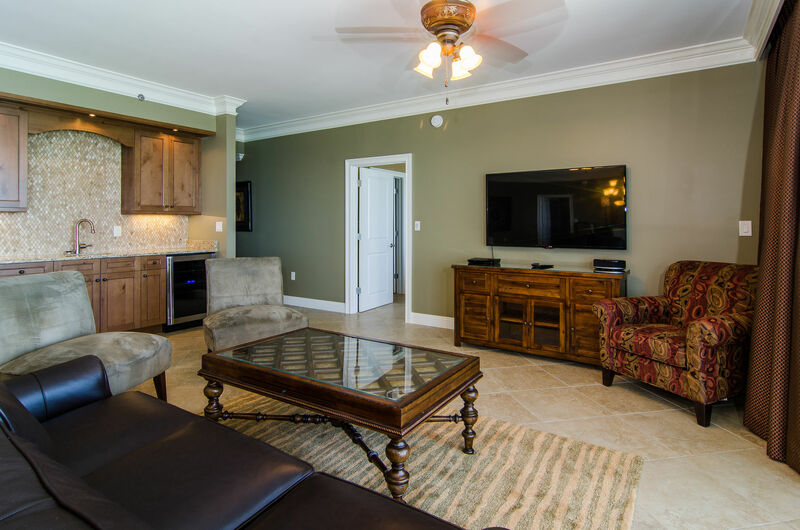 The living room highlights include luxurious furnishings, a high tech 55” HDTV, Blu Ray DVD player, stereo, and iPod connector for your listening pleasure. 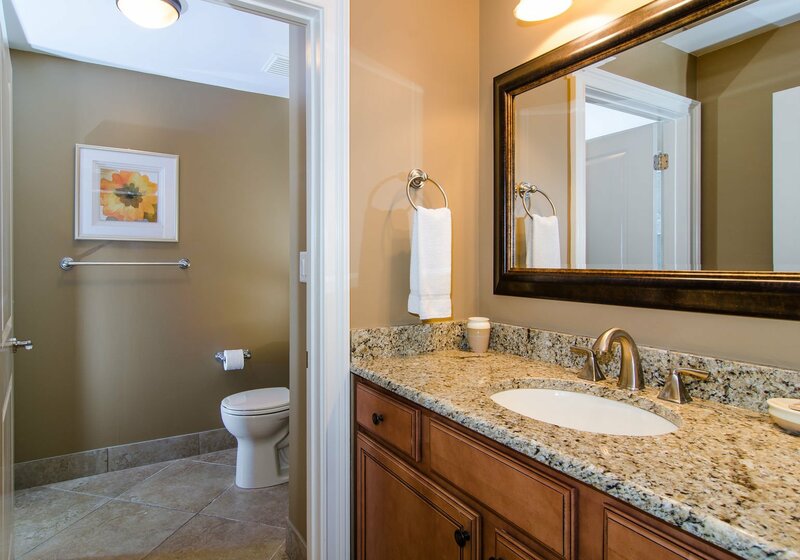 A wet bar compliments this area with a beverage refrigerator and standalone ice machine. 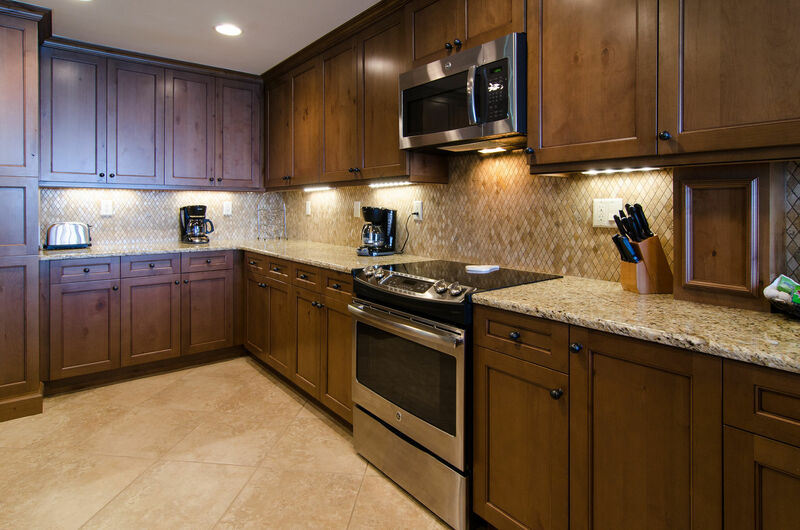 The gourmet kitchen features granite countertops, tile backsplash, bar counter, new cabinets, and stainless steel appliances. The chef in the family will be delighted at the gourmet kitchen. 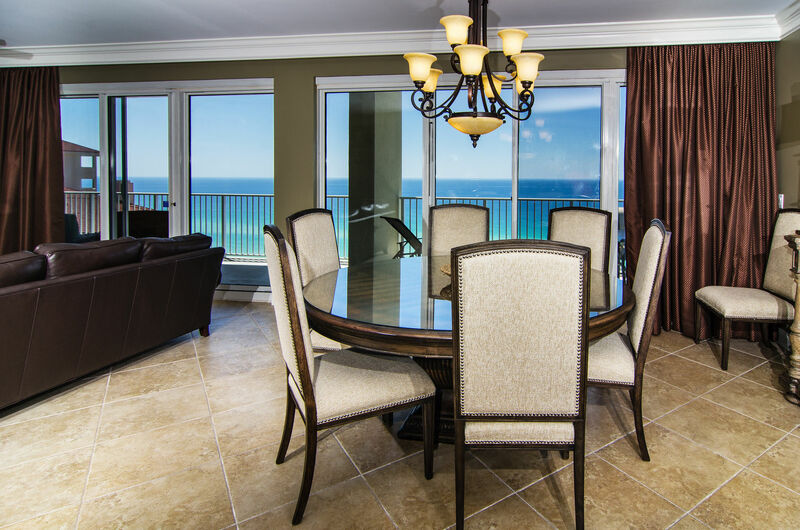 A 72” round dining table will seat 8 guests, and 5 bar stools nearby provide plenty of seating. 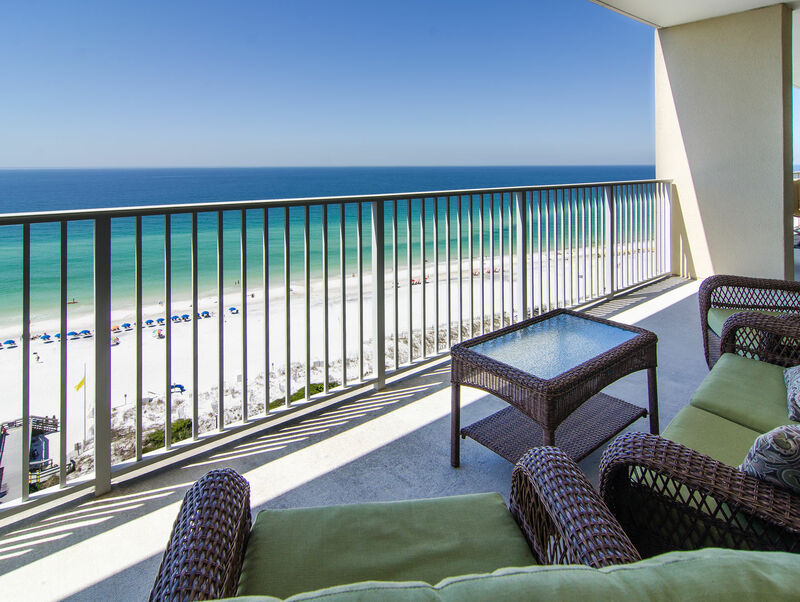 Enjoy your morning coffee looking for dolphins on our spacious balcony, which features comfy lounge furniture and a gorgeous view of the beach and emerald waters of the Gulf. 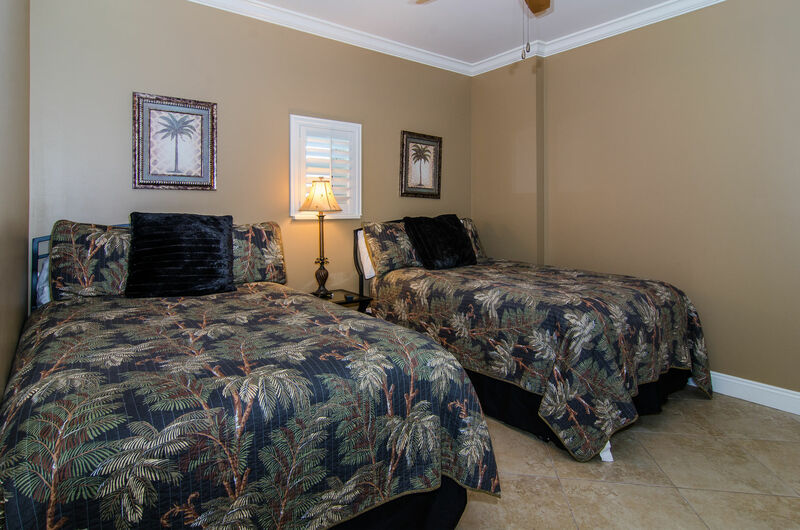 Each well-appointed bedroom has a flat screen TV and DVD player. 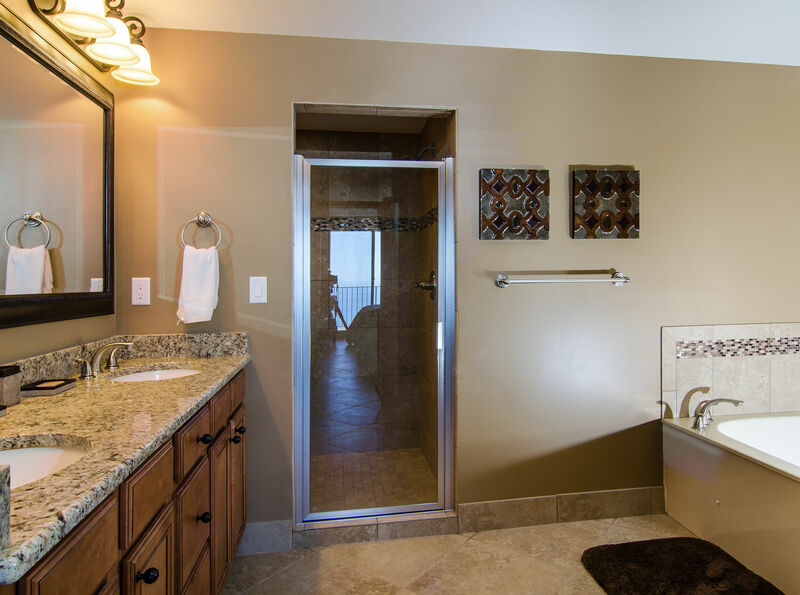 The bathroom suites include tiled, standalone showers, two Jacuzzi tubs, and hair dryers in each. Free wireless is available throughout the condo. 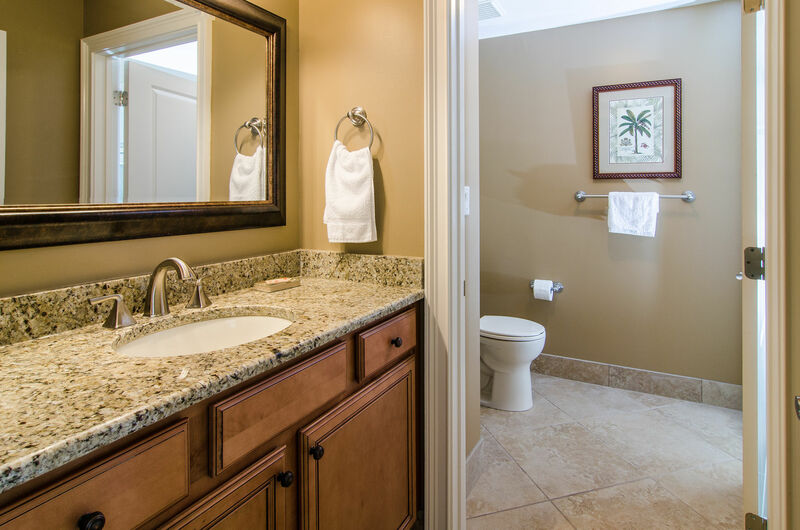 A washer and dryer are also located inside the condo. 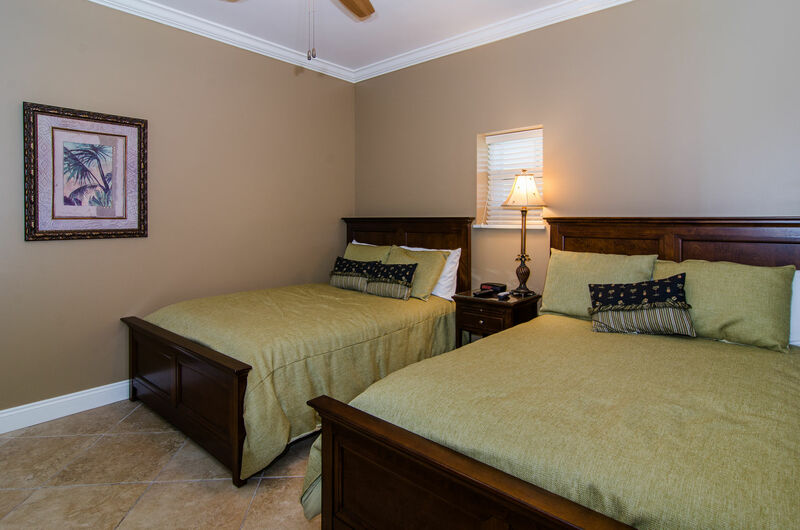 Bedding consists of King (2), Queen (1), Full (4); sleeps 14. 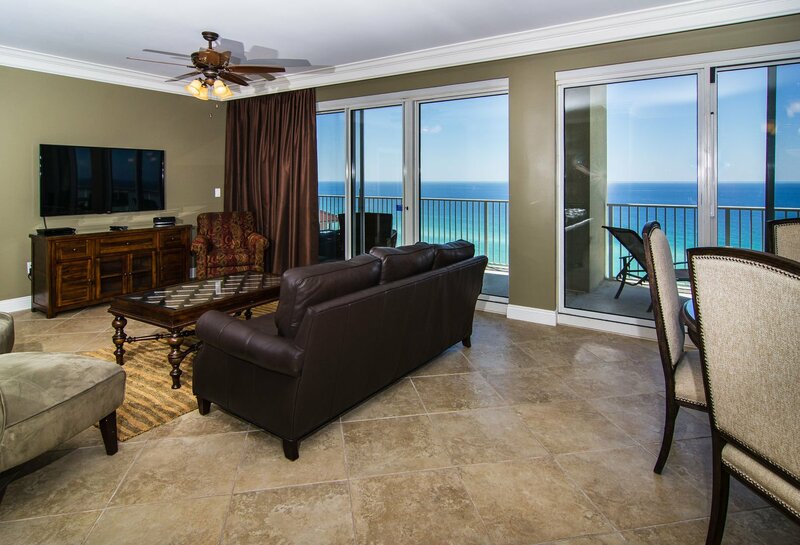 Immerse yourself in the beauty of the soft white powdery beach just steps away from the condo. Our beach was voted the #1 Best Beach in the nation by Southern Living magazine and continues to be a vacation hot spot for families! 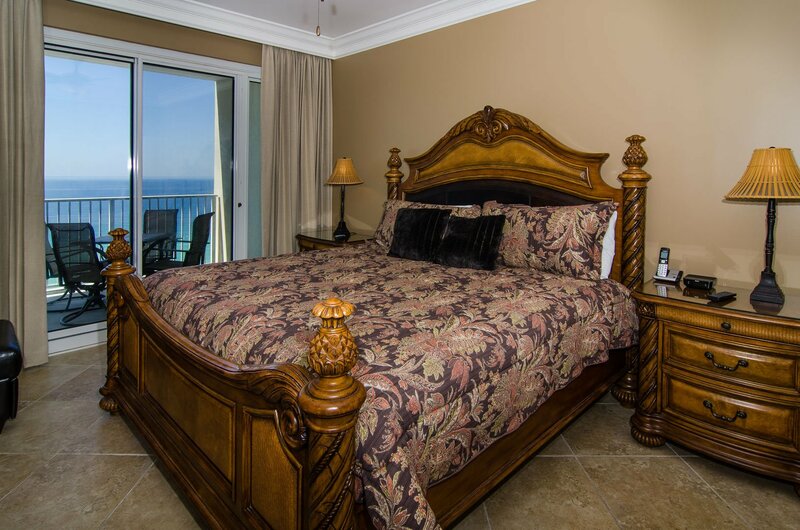 Daily chair rentals are offered along the resort’s 600 ft. of private beach. Relax by either of the two pools (one is even heated)! 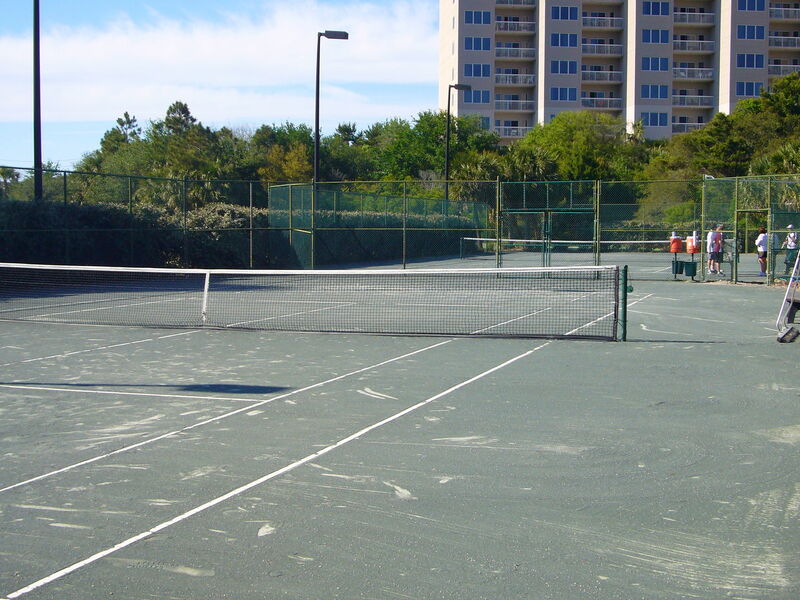 The Tops’l Beach & Racquet Resort is one of the top 50 tennis resorts in America. 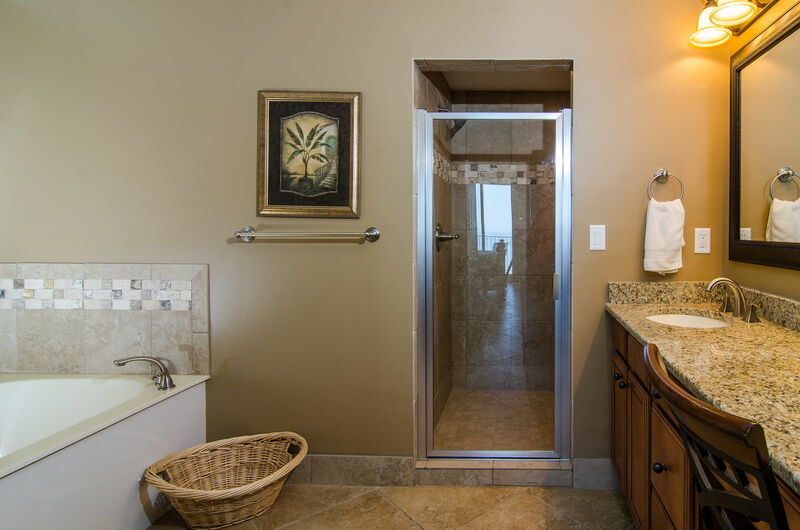 The resort is a privately gated community, which offers special amenities such as Jacuzzi, sun deck, gas grills, putting green, and shuffleboard. 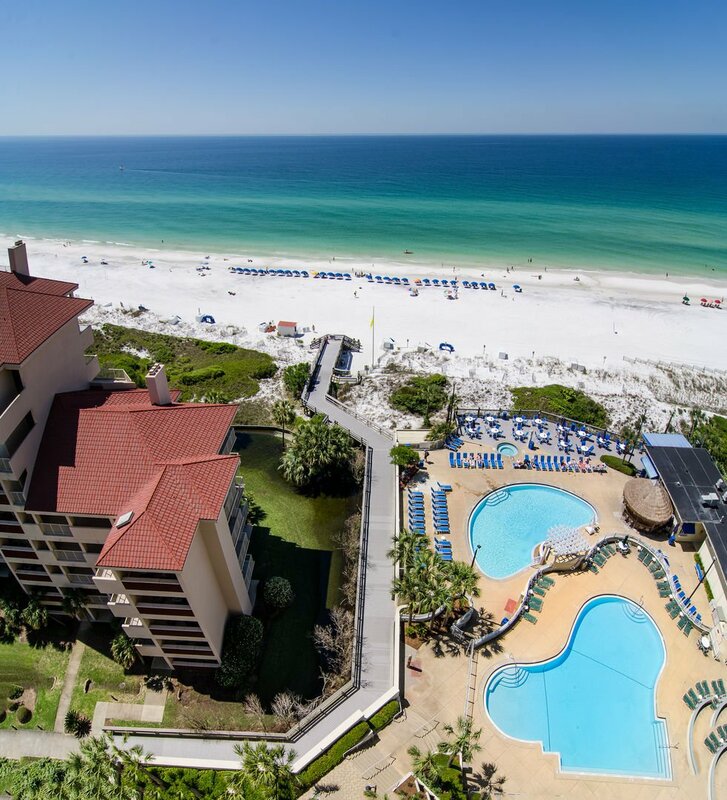 The Destin and Sandestin areas offer exciting water activities: snorkeling, parasailing, sunset cruises, glass bottom boat excursions, dolphin watching, and scuba diving. The Big Kahuna Water Park and the Baytowne Wharf Village are favorite family attractions. 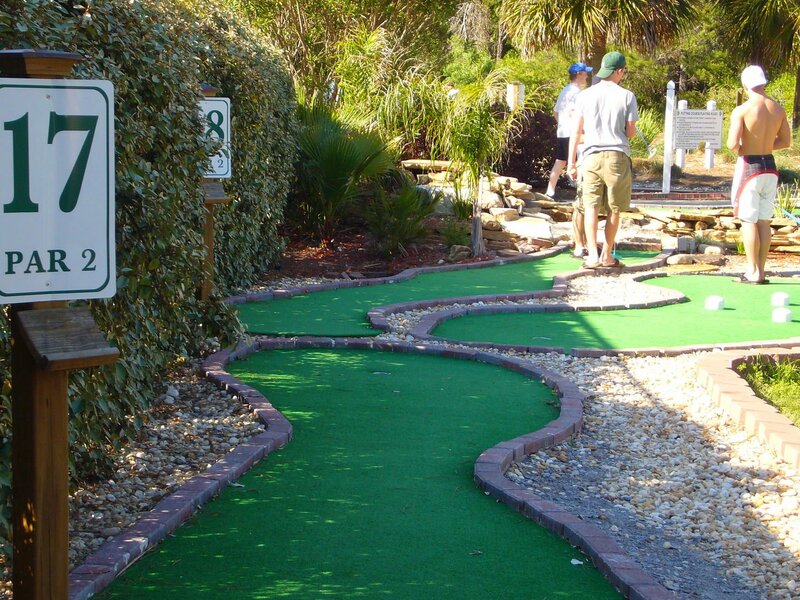 An abundance of golf courses are also conveniently located around the Destin and Sandestin areas. 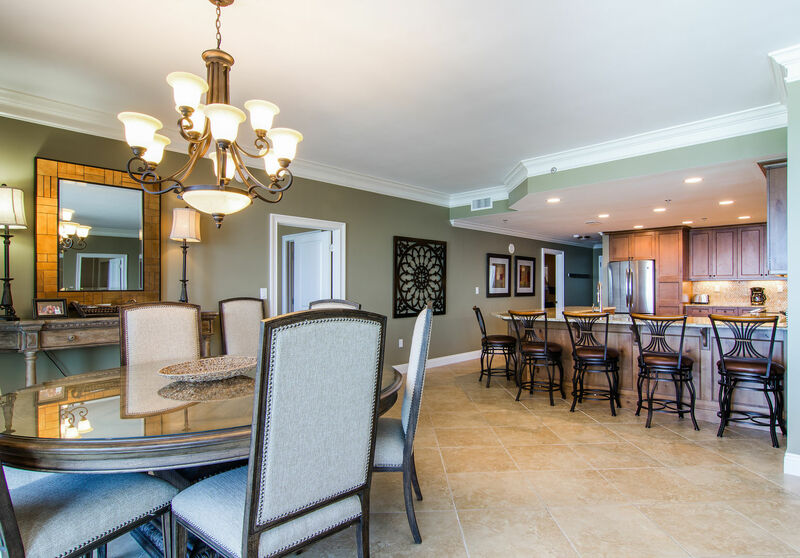 Dining and shopping are plentiful in the immediate vicinity! Fine dining is available onsite at the Ocean Club Restaurant. Flemings, PF Changs, Cantina Laredo, and many other fine and casual dining facilities are located just minutes away at the Grand Boulevard Town Center. A new 10 cinema theater, Tommy Bahamas, Coldwater Creek are just a few of the services and shops available there. 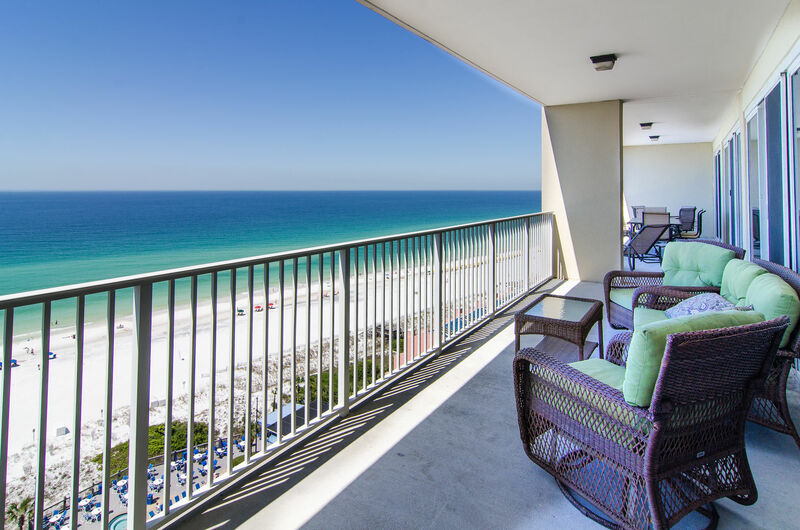 Many of the Destin area restaurants have outdoor decks for enjoying beach views and the ocean breeze as you dine. The Silver Sands Outlet mall is less than a mile away offering brand name merchandise. 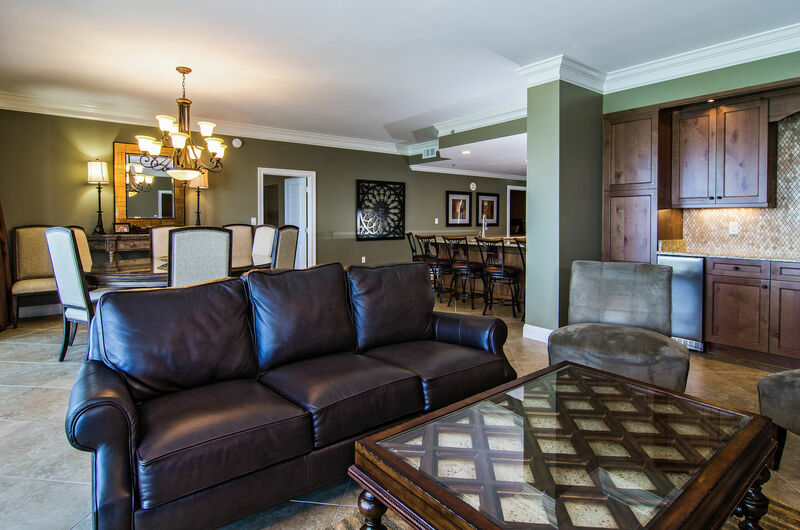 The Destin Commons located 6 miles away is another excellent shopping community with a 14-screen AMC Theatre, Hard Rock Cafe, Bass Pro Shop, and many exclusive specialty shops as well as several major department stores.